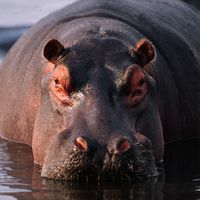 Paul Lomax ran a great session at Product Camp London last month on HiPPOs, how to spot them and deal with them in product development decision making. No, he wasn’t talking about (Hippopotamus amphibius), a large, mostly herbivorous mammal in sub-Saharan Africa (thanks Wikipedia), although the imagery is just irresistible. He was talking about the Highest Paid Person’s Opinion. Just when you’ve assembled all the evidence, corralled the team, and finally got agreement on what the next release of your killer product is going to contain, the HiPPO surfaces unexpectedly. He or she has probably just talked to someone who has nothing to do with the industry, or has just had lunch with a very senior manager from the industry that has never used any product in anger except Excel. He’ll be keen to forcibly insert his new, ill informed, observation into the roadmap. “I think we should alter the priorities” (days later you realize that he has put all the features that he simply didn’t understand at the bottom of the list, after a few hours of explanation you end up with the original list, but have lost significant portions of your life and the will to live). “Why don’t we make the user interface look a bit different for the next release” (because he wants to call this minor incremental release a major release and charge for it). The problem is that even a well meaning HiPPO has an elevated place in the corporate hierarchy and so their opinions are likely to be given far more weight (between 1½ and 3 tonnes according to Wikipedia) than they deserve. It takes time, but unless you work in an enlightened corporate culture where you are actually allowed to inflict physical violence on HiPPOs, you’ll need to win them around. One of Paul’s key pointers was to have the user evidence lined up to be able to gently turn the HiPPO around (and hopefully head them off towards another product team). This entry was posted in create and tagged decision making, product definition, product management, roadmaps. Bookmark the permalink.